The Perfect Running/Rollerski Shorts ... And They Don't Ride Up. 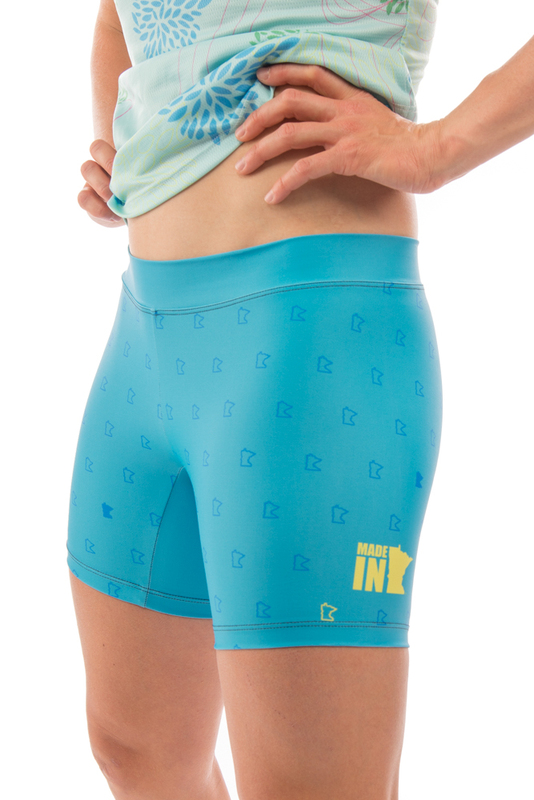 We worked with Jessie Diggins to find the perfect fabric and length for these compression shorts and we nailed it. These shorts will stay in place no matter what kind of terrain you're maneuvering over. The high gauge, warp knit fabric walks the line of being lightweight and breathable without compromising on shape retention and durability. Our Italian made, high gauge, warp knit fabric manages to walk the line of being lightweight and breathable without compromising on shape retention and durability.